Post 50 along with the VFW in Crewe is raising funds to build the Crewe-Burkeville Veterans Memorial. 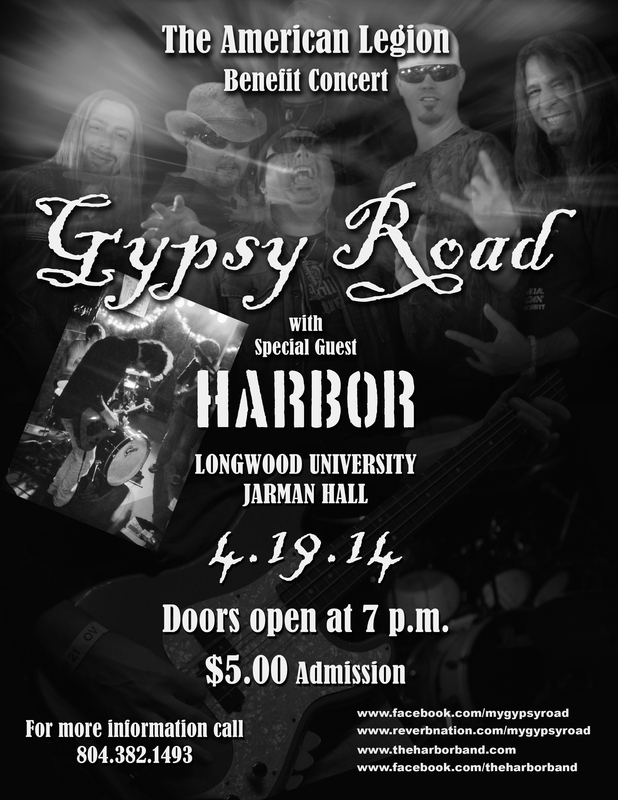 A local music band (GYPSYROAD) held a concert at our post and raised $1000 for the memorial. 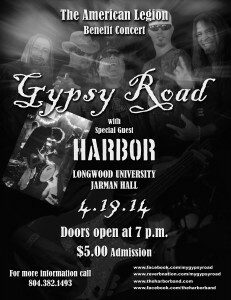 The same band is holding another concert at Longwood University’s Jarman Hall in Farmville VA on 19 April 2014, also to raise funds for the memorial. ← Welcome Home National Commander Dan Dellinger!